Not only is Pisang village known for its yak pastures, but it is also home to Pisang Peak.Pisang Peak is the most popular trekking peak among all trekking peaks in the Annapurna Region of Nepal. 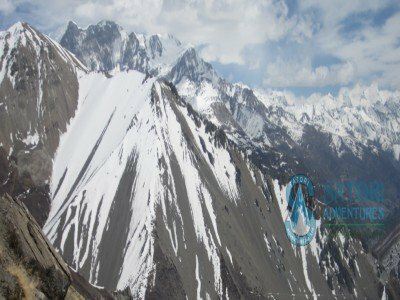 It is on the way to the highest pass of the world and offers good scope for exploration. 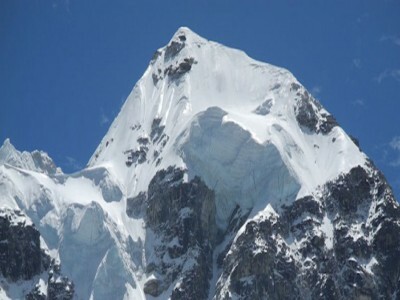 Pisang Peak is also a non-expedition peaks in Nepal that rises opposite of Annapurna II (7937). 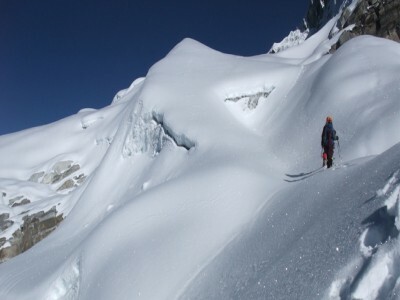 Pisang Peak lays roughly in between the giants’ Annapurna I and Manaslu—which are eight thousand’smeters mountains. 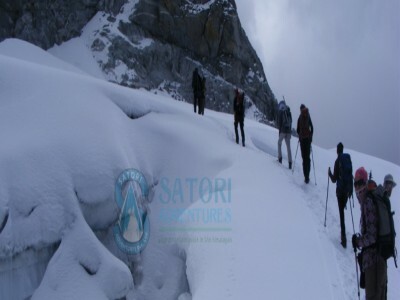 Trekkers with little experience in climbing can combine the popular classic Annapurna circuit trek with Pisang Peak Climbing. 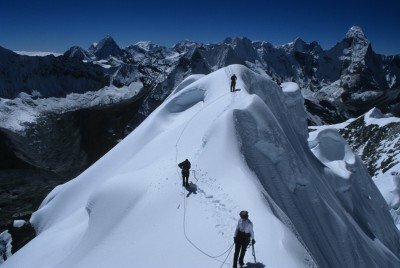 In 1955 the German expedition made the first ascent to Pisang Peak. 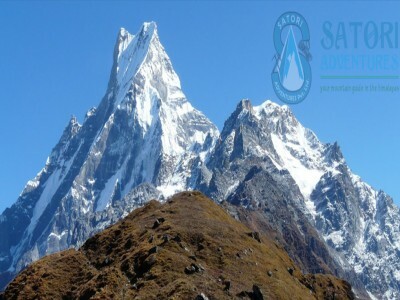 This trek departs from Kathmandu to Besisahar and starts trekking to Annapurna circuit trails, which typically takes 5 days to reach Pisang Base Camp after the summit. 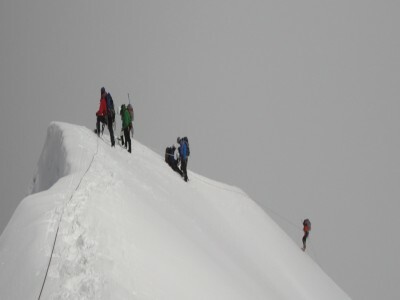 After summiting the Pisang peak you will trek to theChulu East base camp to climb Chulu east Peak. Located on the southern slopes of Manaslu and Annapurna ranges, Chulu East is a classic and rewarding trekking peak in Nepal. 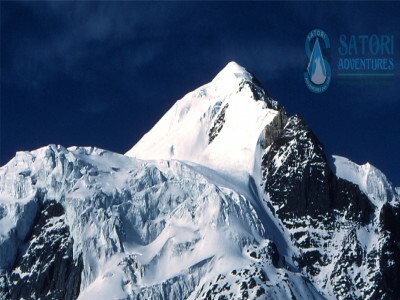 It was first ascended in 1955 by a German expedition via the northeast ridge. The ethnic group inhabiting these areas is Gurungs, Magars, Chhetris, Manang, Thakali and the Newars. Chulu East is a difficult climb for beginners. 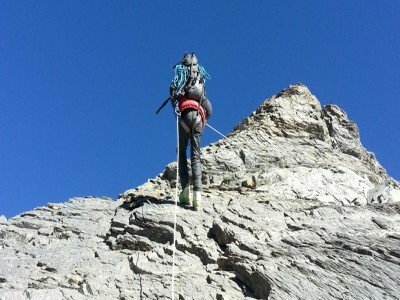 Climbers must be familiar with the use of climbing activities like crampons, harness ice axe, tying knots and handling climbing ropes. After Chulu we make our way up to Throng La Pass at over 5000m; then down into the spectacular Muktinath, another part of the Annapurna Region. 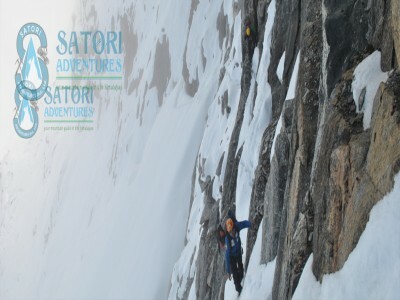 Satori adventures provides you with great opportunities to climb two peaks at one time. 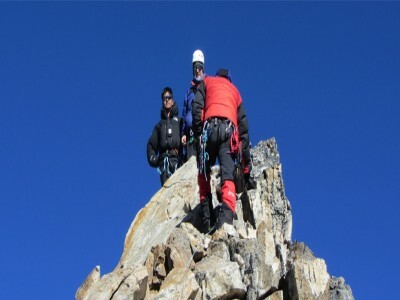 After reaching Pisang summit, you can climb Chulu East Peak. Even though these peaks can be climbed throughout the entire year, the most suitable times to climb are autumn and spring. 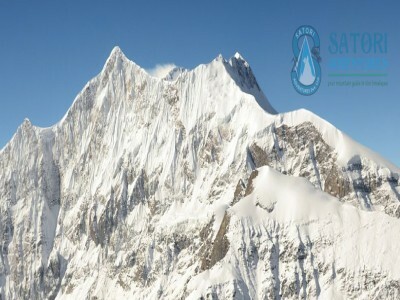 In order to make your journey more comfortable, you will need to take climbing gear and equipment such as Ice Axe, Crampons, standard Carabineers, trekking poles, ropes etc. 04 Sept/Day 03: Drive from Kathmandu to Besisahar (823m/2,700ft, 08hrs) Lodge accommodation. 05 Sept/Day 04: Drive from Beshishahar to Dharapani (1860m/6,103ft, 06hrs) Lodge accommodation. 06 Sept/Day 05: Trek from Dharapani to Chame (2670m/9,055ft, 05-06hrs) Lodge accommodation. 07 Sept/Day 06: Treks from Chame to Upper Pisang (3100m/10170ft, 05 hrs) Lodge accommodation. 08 Sept/Day 07: Rest and acclimatization at Upper Pisang before climb up to Base camp. 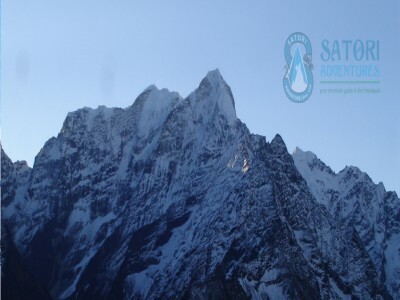 09 Sept/Day 08: Trek from Pisang to Pisang peak Base Camp (4573m/15000, 05hrs) Camping. 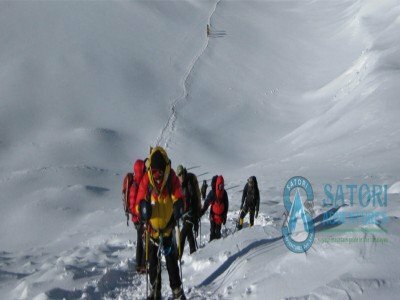 11 Sept/Day 10: Day for acclimatize at high camps, As per your physical fitness and weather condition, If you feel comfortable you may attempt the summit (6091m/19978ft) push. 12 Sept/Day 12: Trek from Pisang peak base camp to Upper pisang (3540m/11611ft, 02hrs) Lodge accommodation. 15 Sept/Day 14: Trek from Barka to Ngwal(4100m/12,467ft, 04hrs) tea house accommodation. 16 Sept/Day 15: Trek from Ngwal to Yak Kharka (4300m/14,107ft, 04hrs) tea house accommodation. 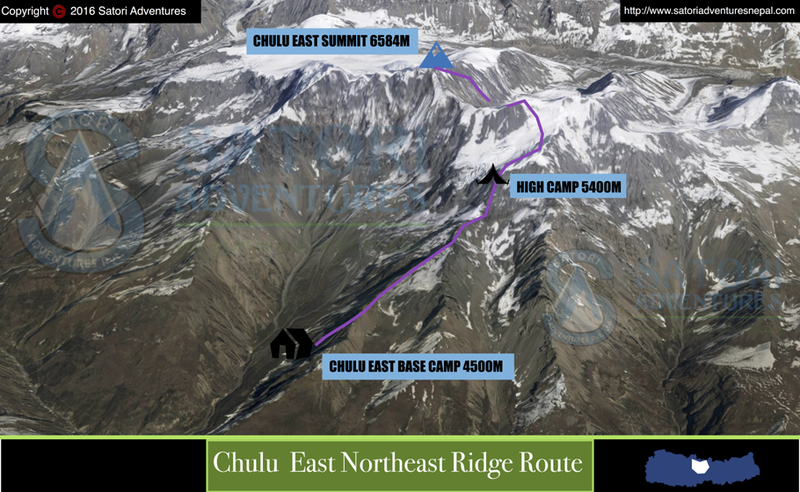 20 Sept/Day 19: Summit to Chulu East peak, return to Base Camp. Camping accommodation. 21 Sept/Day 20: Trek from Chulu Base Camp to Manang (3540m/11,614ft, 07hrs) Lodge accommodation. 22 Sept/Day 21: Trek from Manang to Yak Kharka (4350m/14,272ft, 04hrs) Lodge accommodation. 23 Sept/Day 22: Trek from Yak Kharka to Thorong Phedi (4420m/14,501ft, 05hrs) Lodge accommodation. 24 Sept/Day 23: Trek from Thorong Phedi to Muktinath (3850m/12,631ft, 09hrs) via Thorong La Pass (5416m/17,770ft) Lodge accommodation. 25 Sept/Day 24: Trek from Muktinath to Jomsom (2700m/8,858ft, 04hrs) Lodge accommodation. 26 Sept/Day 25: Flight from Jomsom to Pokhara (950M/3,116ft). Transfer to hotel. Hotel accommodation. 27Sept/Day 26: Drive from Pokhara to Kathmandu by tourist bus that takes about seven hours also you can take a flight which takes about 25 minutes,overnight at Hotel.farewell dinner with culture program In the Evening. 28 Sept/Day 27: After having breakfast, Drop to airport for final departure, or alternatively join other programs. 28 April/Day 02: Preparation and briefings at the departments of tourism. Last minute shopping. 29 April/Day 03: Drive from Kathmandu to Besisahar (823m/2,700ft, 08hrs) Lodge accommodation. 30 April/Day 04: Drive from Beshishahar to Dharapani (1860m/6,103ft, 06hrs) Lodge accommodation. 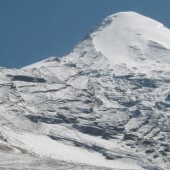 01 May/Day 05: Trek from Dharapani to Chame (2670m/9,055ft, 05-06hrs) Lodge accommodation. 02 May/Day 06: Treks from Chame to Upper Pisang (3100m/10170ft, 05 hrs) Lodge accommodation. 03 May/Day 07: Rest and acclimatization at Upper Pisang before climb up to Base camp. 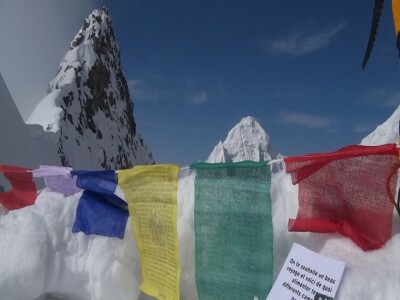 04 May/Day 08: Trek from Pisang to Pisang peak Base Camp (4573m/15000, 05hrs) Camping. 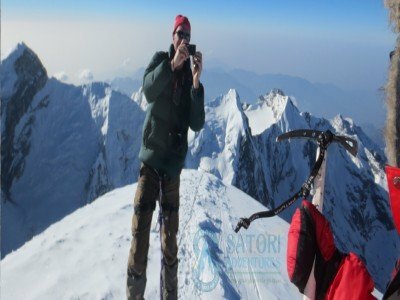 06 May/Day 10: Day for acclimatize at high camps, As per your physical fitness and weather condition, If you feel comfortable you may attempt the summit (6091m/19978ft) push. 08 May/Day 12: Trek from Pisang peak base camp to Upper pisang (3540m/11611ft, 02hrs) Lodge accommodation. 10 May/Day 14: Trek from Barka to Ngwal(4100m/12,467ft, 04hrs) tea house accommodation. 11 May/Day 15: Trek from Ngwal to Yak Kharka (4300m/14,107ft, 04hrs) tea house accommodation. 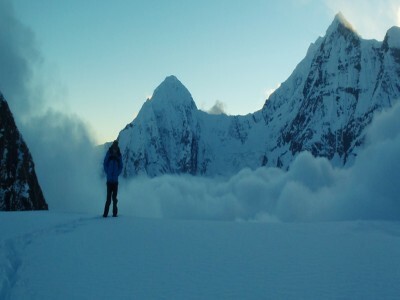 15 May/Day 19: Summit to Chulu East peak, return to Base Camp. Camping accommodation. 16 May/Day 20: Trek from Chulu Base Camp to Manang (3540m/11,614ft, 07hrs) Lodge accommodation. 17 May/Day 21: Trek from Manang to Yak Kharka (4350m/14,272ft, 04hrs) Lodge accommodation. 18 May/Day 22: Trek from Yak Kharka to Thorong Phedi (4420m/14,501ft, 05hrs) Lodge accommodation. 19 MayDay 23: Trek from Thorong Phedi to Muktinath (3850m/12,631ft, 09hrs) via Thorong La Pass (5416m/17,770ft) Lodge accommodation. 20 May/Day 24: Trek from Muktinath to Jomsom (2700m/8,858ft, 04hrs) Lodge accommodation. 21 May/Day 25: Flight from Jomsom to Pokhara (950M/3,116ft). Transfer to hotel. Hotel accommodation. 22 May/Day 26: Drive from Pokhara to Kathmandu by tourist bus that takes about seven hours also you can take a flight which takes about 25 minutes,overnight at Hotel.farewell dinner with culture program In the Evening. 23 May/Day 27: After having breakfast, Drop to airport for final departure, or alternatively join other programs. Arrival and departure transfer services to and from international flights as per itinerary. Kathmandu-Besisahar request Transportation(public bus or tourist reserve jeep) for group and staff as request as per Itinerary. 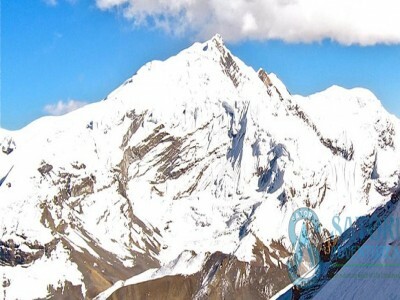 Schedule flight tickets for Jomsom-Pokhara for members and Trekking/climbing Sherpa guide. 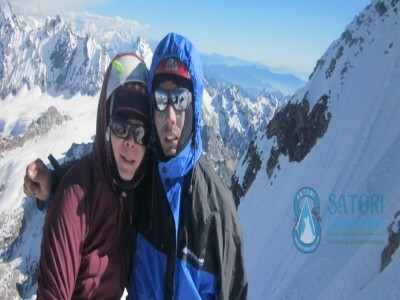 All trekking and mountaineering equipment available at the Base camp and advanced base camp. 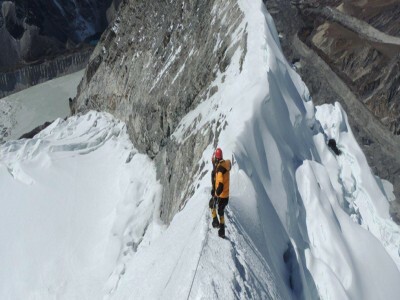 Expedition royalty and climbing permit of Nepal government to climb Pisang Peak and Naya Kanga Peak. 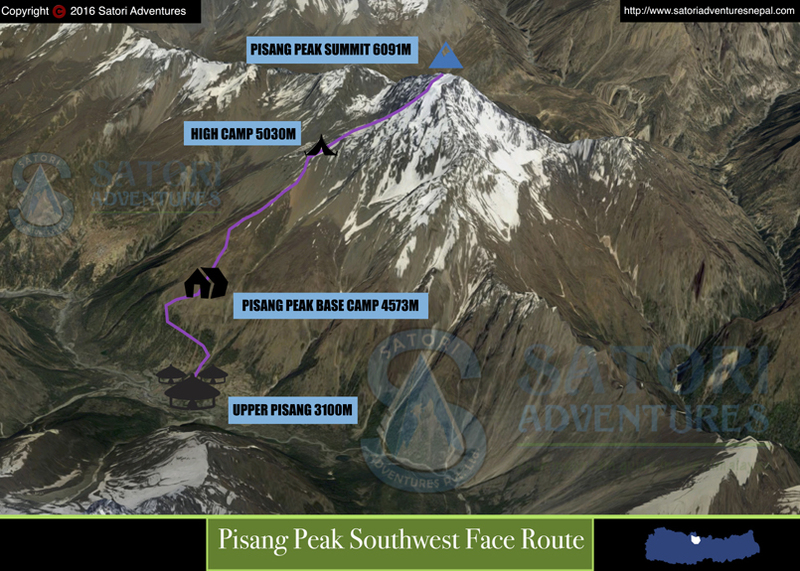 Trekking and climbing map of Pisang Peak and Naya Kanga Peak. Magnificent views of the Himalayas. Unforgettable views of Annapurna and Dhaulagiri. Well-designed approach for appropriate acclimatization.